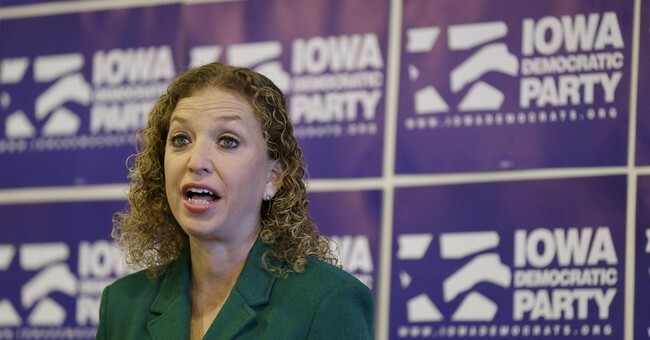 Over the past few months of the 2016 presidential cycle, DNC Chairwoman Debbie Wasserman Schultz has come under heavy fire from her own party for favoring former Secretary of State Hillary Clinton over other candidates in the Democrat primary. In the past two weeks, Wasserman-Schultz has come under extra criticism for allegedly disinviting DNC Vice Chairwoman Tulsi Gabbard to the first Democrat debate in Las Vegas after Gabbard dared to suggest the DNC should hold more primary debates, especially since they've been requested by candidates running for the White House. R.T. Rybak, the former mayor of Minneapolis and a vice chairman of the Democratic National Committee, on Thursday accused the party’s leader, Representative Debbie Wasserman Schultz, of making “flat-out not true” statements about another top party officer, questioned her political skills and said he had “serious questions” about her suitability for the job. In a series of televised interviews on Monday and Tuesday, Ms. Wasserman Schultz suggested that Ms. Gabbard was causing an unwelcome distraction by drawing attention from the presidential candidates, and insisted that she had indeed consulted with the party’s officers before scheduling the debates. Before the 2014 midterm elections, where Democrats eventually lost the majority in the Senate to Republicans, there were rumblings Wasserman-Schultz would be called to resign. We later learned the Chairwoman planned to accuse President Obama of anti-Semitism and sexism if he asked her to leave her position. According to people who spoke with her, when she sensed Obama was considering replacing her as chair in 2013, she began to line up supporters to suggest the move was both anti-woman and anti-Semitic. Under fire last fall for her leadership, she took Obama’s decision not to remove her then as evidence of renewed strength and said she was confident no one could get her out of the DNC before her term is over at the beginning of 2017, according to sources who’ve spoken with her. She’s also been known to joke around the office about how having a vacation home in New Hampshire might one day be helpful in a presidential run.